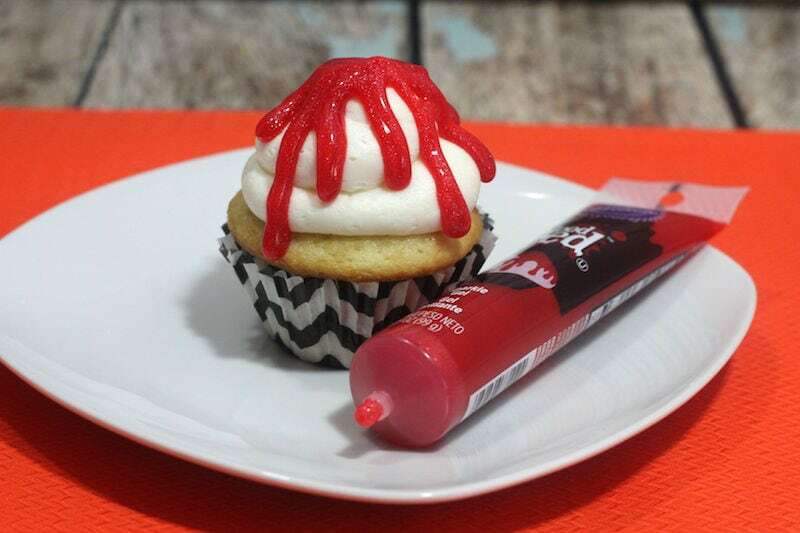 This creepy Halloween cupcake recipe will make your party guests scream with joy. Oh my goodness! 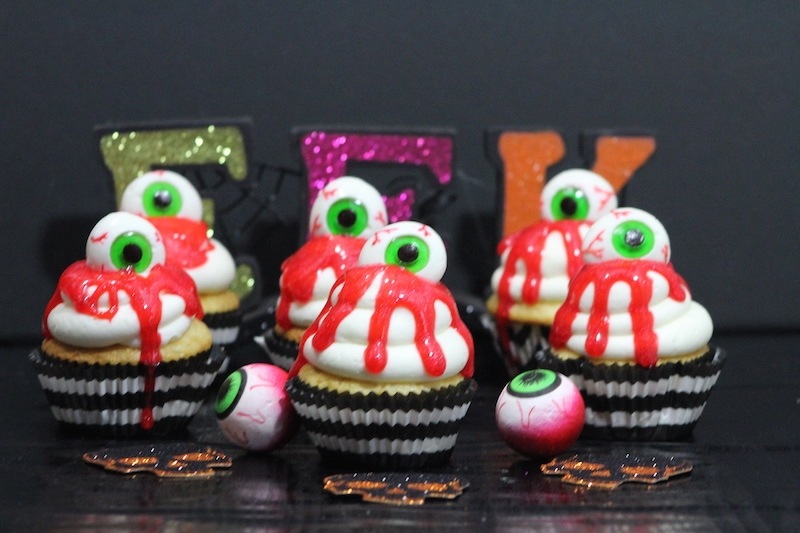 These are so gross and spooky and… just perfect for Halloween! 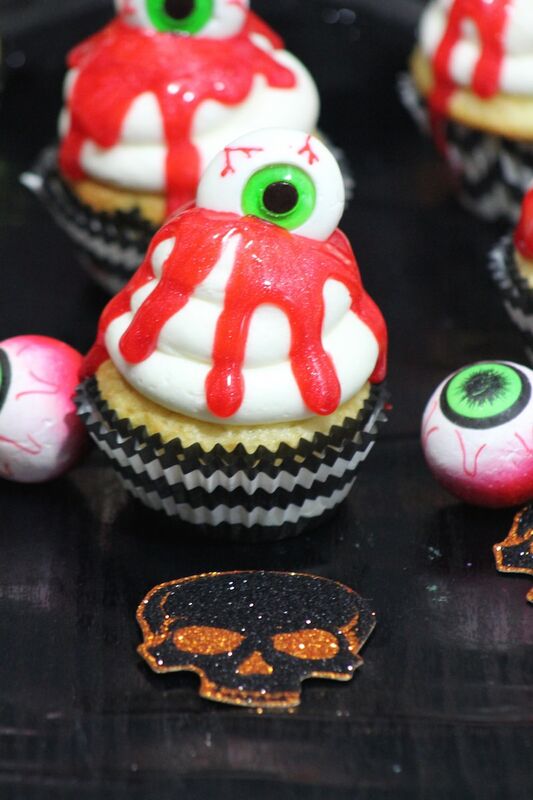 The Bleeding Eye Cupcakes recipe is easy. Once you see how it’s done, you will be able to bang a dozen out in no time. Your kids will love these and may even ask to help with creating them – just wait and see. I’m always looking for showstoppers while hosting Halloween parties. Dessert is the perfect time to wow your guests. It’s the end of the party and everyone pretty much things the day is over. And then WHAM! You come out with a tray of something extraordinary and all of a sudden, the energy rises and the party picks up again. It’s my absolute favorite thing to do! Before you start thinking this is too overwhelming, do yourself a favor and by pre-made cupcakes. Noone will notice. Head to your supermarket and grab a dozen or so and skip ALL THESE STEPS. Then just worry about the frosting and the decorating. 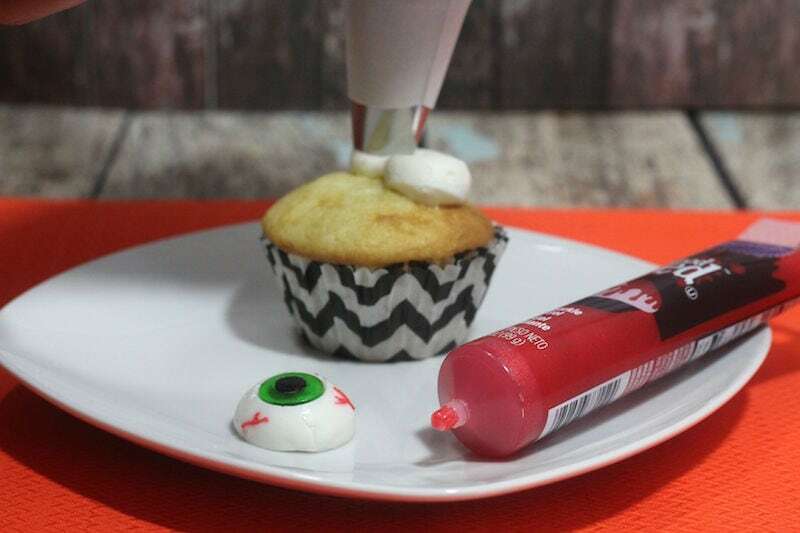 Creepy cupcakes can be easier than you think. 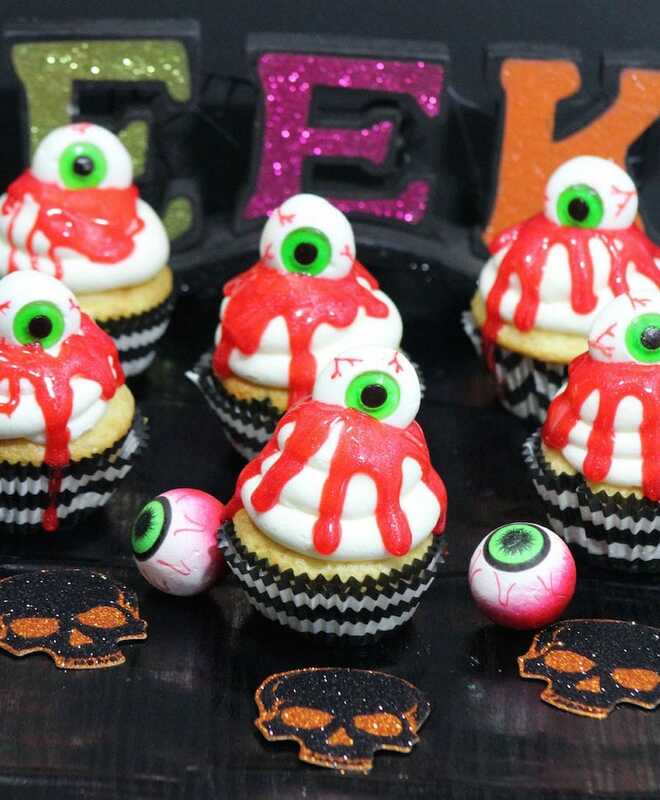 Gummy eyeball candy found in Halloween aisle. Add flour, sugar, baking soda, and baking powder together in a mixing bowl and whisk. Mix the wet ingredients together on medium speed until combined. Add to the dry ingredients: butter, egg whites, vanilla, sour cream, and milk. Mix on medium speed until just blended. Fill cupcake liners a little more than 3/4 way.